Makka Eye Hospital Uttara Location, Helpline Number, Address, Specialist Doctor List! Hello Dear, welcome to Makka Eye Hospital Uttara Doctor List, Hotline Number, Address & More Info Content. In Bangladesh, the Makka Eye Hospital Uttara is a popular hospital. So, many people are searching, how to know Makka Eye Hospital Uttara Address, Contact Number, Specialist Doctor List and Official Website. So, we update here all details contact information about the Makka Eye Hospital Uttara Doctor List, exact Location, Email, Mobile number. We hope this content help to know all information about the Makka Eye Hospital Uttara, Bangladesh. 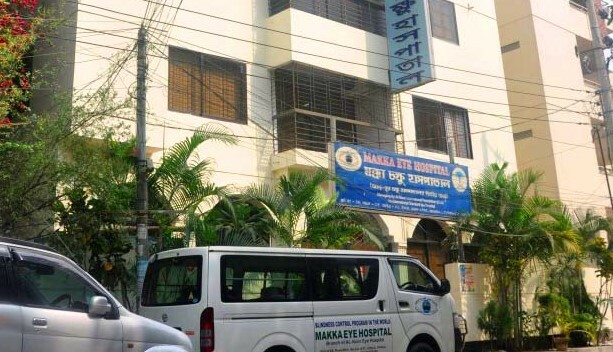 Makka Eye Hospital was established in 2009 in Uttara, Dhaka. Due to its humanitarian standpoint and sincerity in combating blindness Makka is now one of the most beloved destination for eye patients in Bangladesh. The efficiency, hardworking, devoutness to the blindness control program are the some advantages that helped her to start other three eye hospitals in Bangladesh..
Makka Eye Hospital, since its commencement, stands in the heart of Dhaka and comprises of a four storied building. Two spacious operation theaters, 1 floor for cabins, 2 floor for consultations and diagnostics services, a conference room, a library, a pharmacy and spectacle shop are the inclusions of this hospital. Makka Eye Hospital maintains a snow-white line of action in offering medical services, thus it has world-class diagnostics equipment and high-tech machines. Makka Eye Hospital is a non-profit eye hospital in Bangladesh. By paying only a nominal registration fees patients are able to have consultation from highly experienced doctors and ophthalmologist, along with going through different checkups for free. Address: Plot-6, Road-3, Sector-1, Uttara 1230 Dhaka, Bangladesh. Consultation Appointment Number: 02 58953696 & 01733576390. Thanks for staying with us a long time and visiting Makka Eye Hospital Uttara Doctor List, Hotline Number, Address & More Info Content. If you have any question about the Makka Eye Hospital Uttara Bangladesh? Just comment here. We reply as soon as possible.